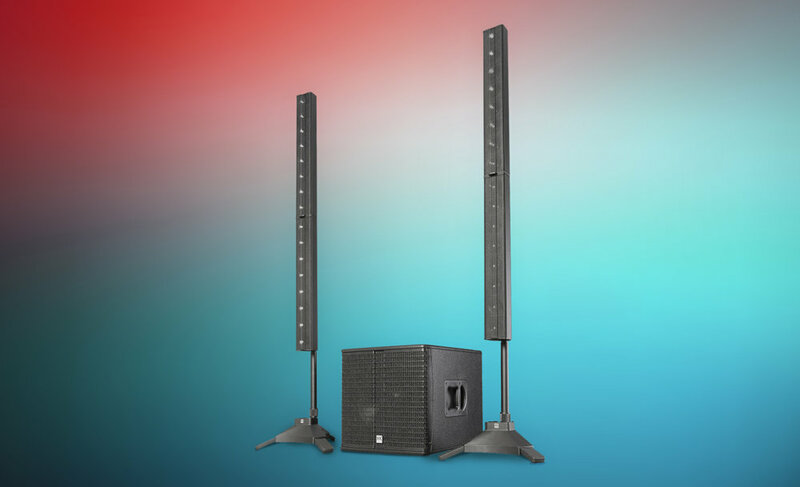 ELEMENTS GALA, the latest all-in-one stereo columnar system from HK AUDIO, takes the ELEMENTS series to a whole new level with a slew of R&D advances. Loaded with a 15" woofer, the powered ELEMENTS GALA subwoofer delivers muscular, low-ranging bass. It also has newly developed circuitry on board: Courtesy of a next-generation digital controller, it serves up soundscapes with a silky-smooth, highly-defined top end and far punchier low-mids. Beefier Class-D power amps provide plenty of headroom for this PA"s enhanced dynamic response. ELEMENTS GALA offers all the proven merits of its predecessors, including exceptionally uniform coverage even in very large venues, and then some. An elegant, up-market look paired with a lush audio experience - it"s a formula that adds up. The new subwoofer that powers ELEMENTS GALA is also available separately for users of legacy ELEMENTS systems who wish to step up to ELEMENTS GALA-style sound quality.